Each of these photos has been entered in a juried art show during the past several years. I am proud that most of them were selected and hung in the exhibits in which they were entered. 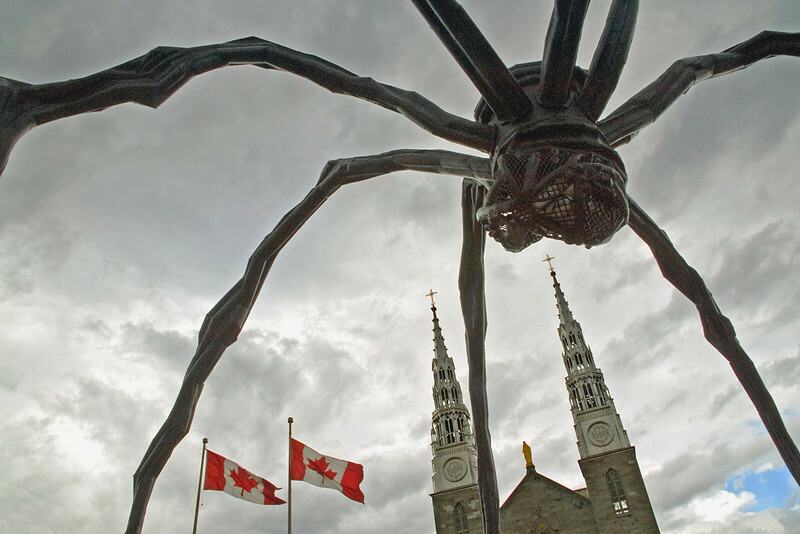 "The Spider Takes Ottawa" Maman, sculpture by the artist Louise Bourgeois, measures over 30ft high and more than 33ft wide, with a sac containing 26 marble eggs. Notre Dame Cathedral towers above.